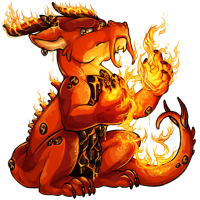 Martine the Reborn Mahar has won the Pet Spotlight! Aww Martine you've got this XD!! Congrats Trithie!! Oh, fantastic! No kidding, refreshed my love for reborns and mahars as well. What a lovely spotlight. Ohmygod, that was cute! Congrats on the win; well-deserved! Love the art and story! Congrats! What a cool profile! Love the art esp. lmao that was cute. Congrats!! Ahh, if this doesn't renew my love for reborns!